“Kids for Keiro” craft workshop participants enjoy a moment with Keiro Retirement Home residents posing next to the plaque commemorating two Keiro founders, Fred Wada and George Aratani, on Nov. 11 in Boyle Heights. 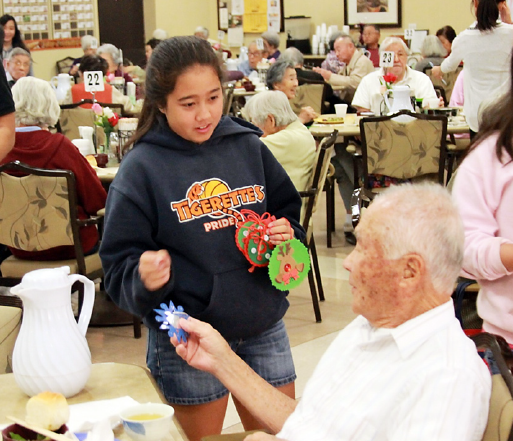 Below, a member of the Tigerette basketball team presents a hand-made ornament to a KRH resident. 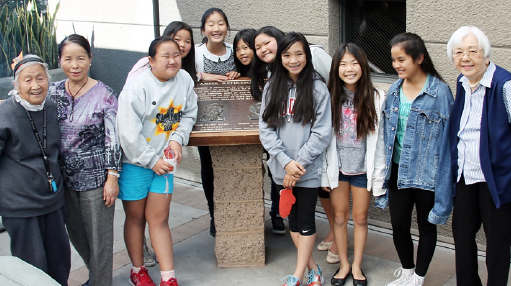 The craft workshop is a community service activity for JAO girls’ basketball players.